On 10th May, the high-profile police officer from Mumbai, Himanshu Roy committed suicide by shooting himself with his service revolver. In a suicide note recovered later, Roy is reported to have said that he is taking this extreme step out of extreme depression due to an incurable cancer. Mr. Roy had been living with cancer since 2000 with recurring remissions and relapses. While some people are debating whether his cancer was under control and he was on the road to cure, what is not being debated is the fact that he was going through depression, possibly for a while and while oncologists were fighting one battle there were other demons that went untreated and that eventually led to him taking his life. Himanshu Roy may have needed palliative care According to a report, In February 2016, the tumour resurfaced in a metastasis form spreading to Mr. Roy’s bones, brain, muscles and multiple soft tissues. Doctors said that his was a last stage cancer and nothing much could be done.Meanwhile, in a separate interview that his oncologist gave to the press, the doctor said it wasn’t so much the disease itself but the emotional trauma it had on him that may have led to Roy taking the extreme step. So Himanshu Roy needed possibly palliative care and psychological counselling specific to his depression, neither of which appears to have been available to him. And if a man in his position could not get these elements of care, what of the ordinary Indian? And therein lies a tale. In India 1 million new cancer cases are diagnosed every year and up to 70-80% of them present with Stage IV disease diagnosis where options of cancer directed treatment are very limited. At present it is estimated that there are around 3 million patients with cancer in India at any one point in time; with 2/3 of them having pain and 1/3 of them having severe pain needing strong analgesics. It is estimated at least 60-80% of these patients need palliative and end of life care. In India less than 5% of patients have access to palliative and end of life care and less than 2% of the patients have access to strong analgesics needed for pain relief. Annual palliative care need in India is estimated to be 3-4 million. In the world of palliative care—practitioners distinguish between a “good death” and a “bad death.” A good death is one where the patient dies peacefully, without pain, in the presence of her loved ones and often at home. A bad death is one where the patient dies alone, often in unbearable pain, typically after having her life prolonged by aggressive and dehumanizing care, usually in an ICU.Too many deaths in India fall into the second category. According to a 2009 report by Human Rights Watch, about seven million patients need palliative care in India every year, but only a small fraction of them receive it. There has been no national-level discussion here on the right to die with dignity, and within families with a loved one approaching death it is often taboo to talk of just managing symptoms rather than continuing with futile therapeutic treatment. Across the country, efforts towards improving palliative care are hampered by existing laws and a lack of awareness and infrastructure—to the detriment of the dying, and consequently of the living too.The palliative approach looks not just at difficult symptoms of an illness, but also on the overall benefits and/or side effects of possible treatments. and the emotional, physical, and financial stresses for someone dealing with a serious, perhaps life-threat­ening, disease. Despite all this, if palliative care hasn’t really taken off in India, it is also because medical practice in India is disease based, not person based and as a result, palliative, or hospice, care is difficult, if not impossible to find. A conspiracy of lies surrounds the deathbed: doctors are afraid to stop treatment for fear of the family’s anger and families hide the truth from their loved one for fear of what it will do to him. In his heart, the patient almost always knows what is happening (even children understand when they are dying) yet, for fear of upsetting their families, they suffer alone in silence.taught as a subject during MBBS education as many suggest it should be. India comes near the bottom of the global league in access to end-of-life care—ranked 67 out of 80 countries in 2015. Advances in palliative care in India have been patchy. The Shanti Avedna Sadan in Mumbai, a hospice was in a way, the pioneer of palliative care in India in 1986. By 1991, the Ashram had established two more branches, one in Delhi and one in Goa and though this was a welcome development, it was just a blip. Subsequently, the Pain and Palliative Care Society (PPCS) was formed in Calicut in 1993 and then the Indian Association of Palliative Care was formed in 1994. 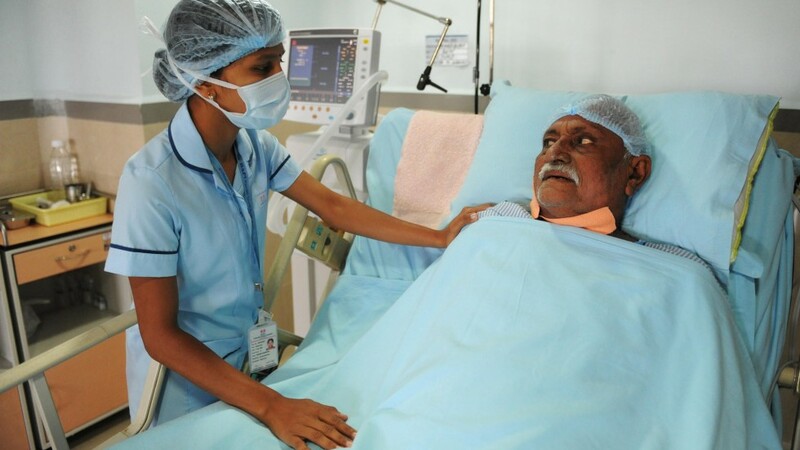 Kerala provides two-thirds of the country’s palliative-care services through community and volunteer driven models. Kerala has been a pioneer in other ways and the State government launched the first state Palliative Care Policy in 2008. Two other states, Maharashtra and Karnataka, have followed suit and the health ministry designed National Palliative Care Strategy in 2012. This was meant tocreate the foundation for palliative care in India. However, the strategy was not funded.The Medical Council of India accepted palliative care as a medical specialty only in 2010 and it is still not at the MBBS level or part of the Nursing syllabus. However, though the beginnings are there, and models are available to follow, there is still a long way to go. Community based, volunteer driven, and non-medical models are likely to be the more sustainable ones for now, even as efforts are made to wean doctors away from making Herculean efforts at cure even in terminal cases and wean them towards supportive and palliative care. Shantanu Dutta is a former Air Force Officer and a Development Worker for the last 25 years and more. Very well written highlighting the crux of the issue. Human life in India anyway is worth very little. Only outrages are considered worthy of attention.